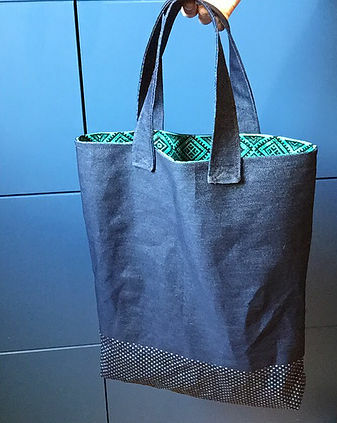 A tote bag is one of those things that one always needs. They can be used to carry absolutely anything, and they are also really easy to make! 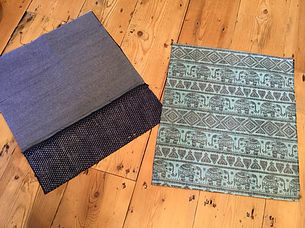 I’ve created a tutorial on how to make your own tote bag, with a lovely contrast fabric strip at the bottom and the opportunity to use a lovely print to make it fully lined. I have made so many of these as gifts, and I use mine all the time. Main Fabric: 2- 12.5" x 15"
Contrast Fabric: 2- 5" x 15"
Lining Fabric: 2- 17" x 15"
Sew together the trimming fabric and the main tote fabric to the front and the back pieces. Press open. 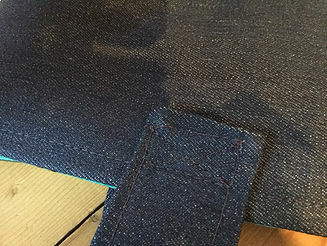 Top-stitch 1/4" around the seam (this is optional, but I think it gives a neater, more professional finish. Pin, rights sides together, the front and back pieces of the tote. 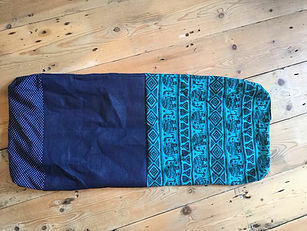 Sew down the two sides and the bottom. 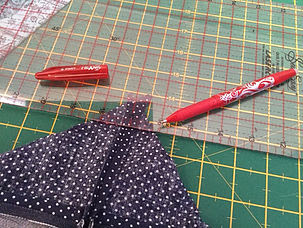 Repeat for the lining, but leave a 4" gap along the bottom edge. 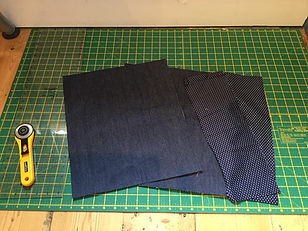 Box the corners; to do this, press open the seams, line the side seam and bottom seam up (push the side seam flat), measure 1", mark a line and stitch around the line. Repeat for both corners, and for the lining. If you've never boxed corners before, you may find this tutorial useful. 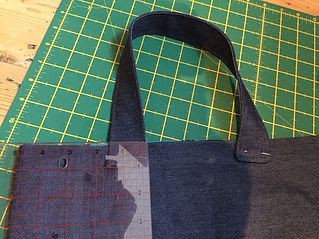 With right sides together, put the front of the tote into the lining. Pin around top edge. 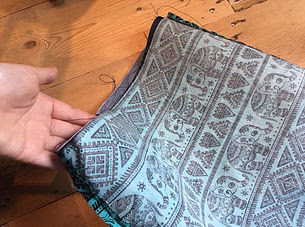 Sew around the whole edge. You should be catching two layers. Be careful not to sew the opening shut! Sew the hole in the lining shut - and by the way, isn't my lining fabric the best fabric ever?! 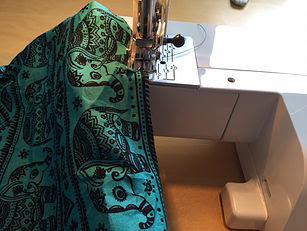 Press any creases, and then push the lining into the tote bag. 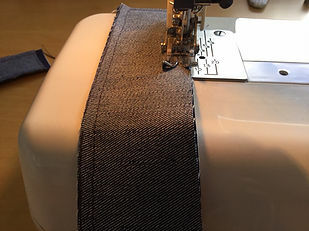 Press around the top to get a neat, crisp finish, and topstitch around the bag. 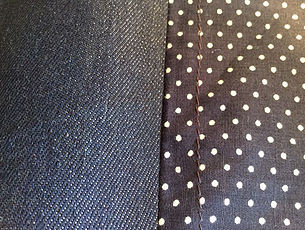 Note: this will show in the lining as well, so make sure you have a matching bobbin. Onto the straps! 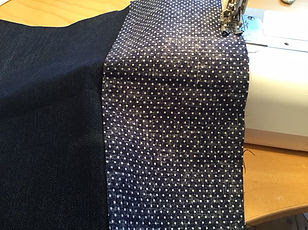 From your four 18.5" x 2" strips, sew two right sides together, leaving a gap at the bottom. Turn right side out, and press the opening closed. Repeat with the other two strips. 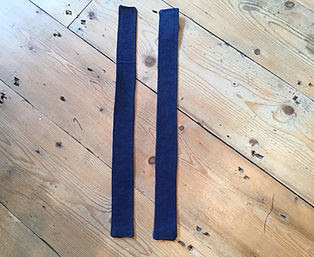 Topstitch the whole way around both straps using a colour co-ordinating thread and a constant seam allowance. 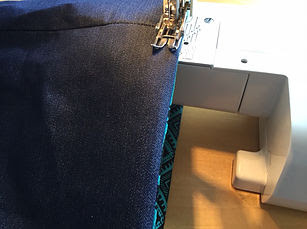 If you used a 1/4" seam allowance, your straps should now be 1.5" wide. Pin your straps so that they are 1" down from the top of the bag, and the end is 5" from the edge of the bag (as shown in the photo). If your bag doesn't quite measure that, then place the straps at an equal distance from the edge. Make sure that they line up on the front and back. 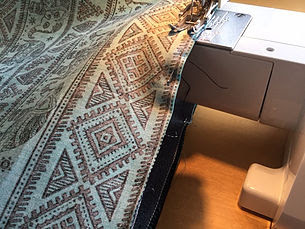 Sew your straps onto the bag in an 'x' shape. Press your bag and... it's done! Your very own tote bag!! Excellent post. Love your tote!